In 2009, 43,250 runners crossed the finish line in Central Park. This number makes New York City Marathon number one in finisher count among our Top 50 Best Marathons. 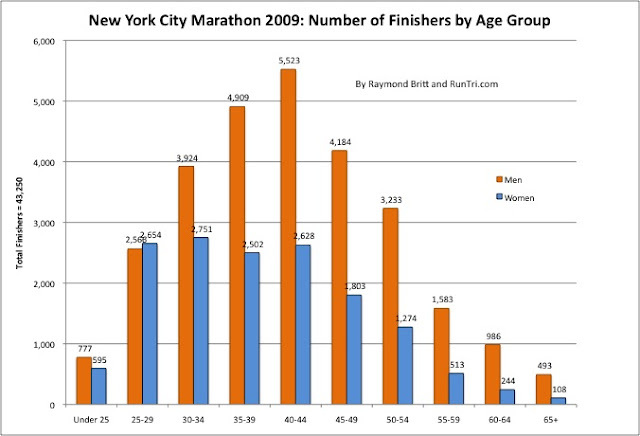 Below, our analysis of finishers by Age Group. Also see our analysis of average finish time by age group, and our Complete New York City Marathon Coverage.